摘要： Ryan Dahl, the founder of Node.js, shared his thoughts over the year participating in Google Brain Residency Program. Last year, after nerding out a bit on TensorFlow, I applied and was accepted into the inaugural class of the Google Brain Residency Program. The program invites two dozen people, with varying backgrounds in ML, to spend a year at Google's deep learning research lab in Mountain View to work with the scientists and engineers pushing on the forefront of this technology. The year has just concluded and this is a summary of how I spent it. The motivating goal/demo I have in mind is to clean up old movies and TV shows. Imagine seeing grainy TV shows from the 90s, or black and white movies from the 1960s, in lush and colorful 4K resolution. 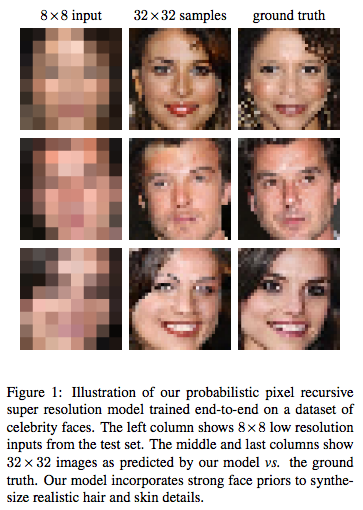 This seems entirely plausible: we can take good modern media and distort it to be grainy, low-resolution, or black and white, and train a supervised model to do the reverse transformation. Training data is practically infinite. This would be awesome. Don't get too excited—the technology isn't there yet... but it's getting closer. Armed with little more than this goal, I uprooted myself from Brooklyn and moved, yet again, to the Bay Area in pursuit of technology. I was soon spending my days chatting with ML researchers and viming around Google's vast software infrastructure. If you want to skip the technical bits, jump to the conclusion. As everyone knows, the zoom technology presented in CSI is impossible. You cannot arbitrarily zoom into photos. However, it is possible to present plausible hallucinations of what it would look like if you enlarged the image. Being able to crisply increase the resolution of photographs would be a step towards my demo. In the literature this problem is called Super Resolution, and it has a long history of attempts. Approaching this, we knew that using a ConvNet with input the low-resolution image and output the high-resolution image trained to minimize per-pixel distance (L2) would not completely solve the problem. This kind of loss function learns to output the average of all possible outputs—which looks blurry. We wanted a model that could choose, given a low-res input image, a specific, likely high-resolution image amongst all the possible enhancements. If we were trying to "enhance" a photo of blurry tree, we would want it to choose specific locations for the leaves and branches, even if those weren't the true locations when the photograph was taken. PixelCNN is a strange and counter-intuitive model. It formulates image generation as choosing a sequence of pixels, one at a time. Gated recurrent networks like LSTMs have been very successful at generating sequences—usually words or characters. PixelCNN cleverly structures a CNN to produce exact probability distributions of pixels conditioned on previous ones. It's a mixture between an RNN and a CNN. Figure by van den Oord et al. Surprisingly PixelCNNs generate very natural looking images. 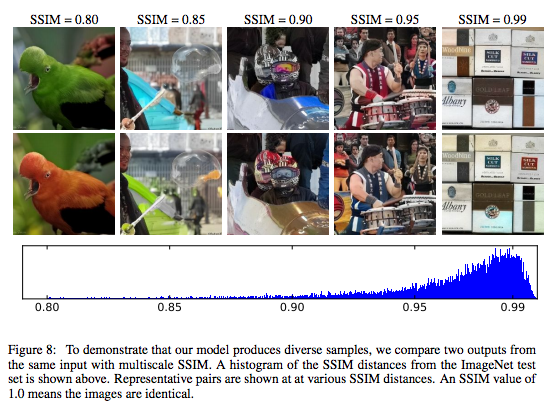 Unlike adversarial networks, that precariously balance two objectives, this model has a single objective, and is thusly more robust to hyperparameter changes. That is, it's easier to optimize. My first attempts at Super Resolution with PixelCNN were naively too ambitious, training on large ImageNet images. (ImageNet is a difficult dataset compared to CIFAR-10 or CelebA or LSUN, where lots of generative model research is done). It became immediately apparent that the sequential pixel-by-pixel generation of images was very slow. Outputting images much larger than 64x64 could take hours! However I got some compelling results when I limited it small sizes and restricted datasets like faces or bedrooms. At Google, one has relatively unbounded access to GPUs and CPUs. So part of this project was figuring out how to scale the training—because even with these restricted datasets training would take weeks on a single GPU. The most ideal way to distribute training is Asynchronous SGD. In this setup you start N machines each independently training the same model, sharing weights at each step. The weights are hosted on a separate "parameter servers", which are RPC'd at each step to get the latest values and to send gradient updates. Assuming your data pipeline is good enough, you can increase the number of training steps taken per second linearly, by adding workers; since they don't depend on each other. However as you increase the number of workers, the weights that they use become increasingly out-of-date or "stale", due to peer updates. In classification networks, this doesn't seem to be a huge problem; people are able to scale training to dozens of machines. However PixelCNN seems particularly sensitive to stale gradients—more workers with ASGD provided little benefit. The other method is Synchronous SGD, in which the workers synchronize at each step, and gradients from each are averaged. This is mathematically the same as SGD. More workers increase the batch size. But Sync SGD allows individual workers to use smaller and faster batch sizes, and thus increase the steps/sec. Sync SGD has its own problems. First, it requires many machines to synchronize often, which inevitably leads to increased idle time. Second, beyond having each machine do batch size 1, you can't increase the steps taken per second by adding machines. Ultimately I found the easiest setup was to provision 8 GPUs on one machine and use Sync SGD—but this still took days to train. 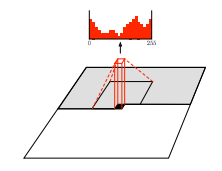 The other way you can take advantage of lots of compute is by doing larger hyperparameter searches. Not sure what batch size to use? Try all of them! I tried hundreds of configurations before arriving at the one we published. Quantitatively evaluating the results presented another difficult problem. How could we show that our images were better than baseline models? Typical measures of quality in super resolution use pixel-wise distance (PSNR) between the enhanced image and the ground truth. The faces and bedroom images we saw coming out of the model were clearly better in quality, but when comparing pixels to ground truth, they were, on average, farther away than the blurry outputs of the baseline. We tried to use the likelihood measurements from PixelCNN itself to show that it assigned higher probability to our samples vs baseline samples, but that didn't work either. Finally we resorted to crowd sourcing human raters—asking which images they found more real. That worked. Two color modes outputted by PixColor. Sergio Guadarrama, the creator of Slim, had also been toying around with image colorization. He told me about an experiment where he took a 224×224×3 image in YPbPr colorspace (where the grayscale and colors are split), scaled the color channels to a very low-resolution 28×28×2 and scaled them up again using bilinear interpolation. The resulting image looked practically indistinguishable from from the original with high resolution colors. This suggested that we could make the colorization problem much easier by only attempting to predict the low-resolution colors. I had been ready to give up on PixelCNN entirely due to its apparent inability to scale beyond small images, but generating 28×28×2 seemed very doable. We simplified the problem further by quantizing the colors to 32 values instead of 256. Sergio built a "refinement" network that could clean up the low-resolution color output, pushing colors that bled beyond boundaries back into their proper locations—a feed-forward image-to-image CNN trained with just L2 loss. We also used a good pre-trained ResNet for the conditioning network, which alliviated the need to add an extra loss term, as we had added in the super resolution project. With all these tricks in place, we were able to achieve state of the art results on ImageNet as measured both by crowd sourced evaluations and by color histogram intersection. Turns out, a properly trained PixelCNN models image statistics very well, without any sort of mode collapse. The model is still far from perfect. ImageNet, although large, is not indicative of all images. The model has a difficult time when applied to non-ImageNet images. We found that real black and white photographs (as opposed to color images that were made grayscale) have different statistics, and contain different objects not seen in color photos. For example, there probably aren't many color photos of Model T cars, and likely none in ImageNet. 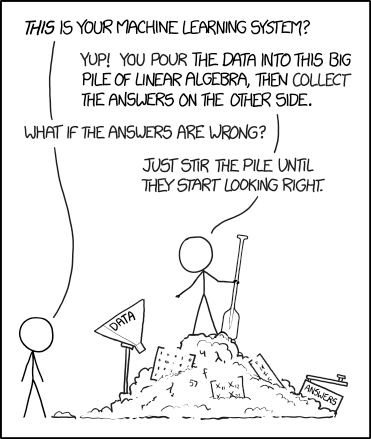 These problems could probably be mitigated with a larger dataset and better data augmentation. Factoring large numbers is a notoriously difficult and old problem. But even these days, new things are being discovered about the distribution of prime numbers. Perhaps deep neural networks, given enough examples, could learn something new? Mohammad and I tried two approaches. He modified Google's Neural Machine Translation seq2seq model to take a sequence of integers representing a large semi-prime as input and predict one of its prime factors as output. I tried a simpler model that took a fixed length integer input and used several fully-connected layers to classify prime or not prime. Neither attempt learned more than the obvious patterns (if it ends in a zero, it's not prime! ), and the idea was abandoned. Inspired by Michael Gygli's project, I wanted to see if I could have a discriminator act as its own generator. I set up a simple binary classification CNN which decided if the input was real or fake. To generate images, you would give it noise and have the network update the input with gradients (sometimes called deep dreaming) so that it maximized the "real" classification. The network is trained by alternatingly generating "fake" examples and, like a classic GAN discriminator, updating weights to classify real examples from fake. The idea was that maybe this would be easier to train than a normal GAN because you would have fewer architectural decisions. It actually kind of worked on MNIST. Here each column is a noise image getting pushed progressively towards a red MNIST digit. I couldn't get it working on CIFAR-10 and it seemed of limited practical benefit. It's too bad because "Adversarial Dreaming" would be a cool name for a paper. So I'm a software engineer with not much previous experience in ML. Having just spent the last year deep diving deep learning, I thought I would share my general thoughts on the field, and how I see it in relation to the greater software world. I remain bullish that machine learning will transform essentially all industries and eventually improve the lives of every human. There are many industrial processes that can benefit from the smart guesses that ML provides. I believe my motivating demo will be achieved some day soon—you will watch Charlie Chaplin in 4K resolution and it will be indistinguishable from a modern movie. That said, I've found it very difficult to build, train, and debug models. Certainly much of that difficulty is just my own inexperience, but that itself points to how much experience is needed to effectively train these beasts. My work has been focused on the easiest branch of ML: supervised learning. Even with perfect labels, developing models can be quite difficult. It seems the larger the dimensionality of the prediction, the longer it will take to build the model (like, in hours of your life spent coding and debugging and training). I encourage anyone starting out to simplify and restrict your predictions as much as possible. One example of this came up in our colorization work: we started out having the model predict the entire RGB image instead of just the color channels. The idea being that it would be easy for the network to pass the intensity image through to the output since we were using skip connections. Switching to only color channel predictions still improved performance. If I use the word "working" in a subjective, gut-reaction way of describing software: Image classification seems to work robustly. Generative models barely work and are not well understood. GANs have great images, but are almost impossible to build—my experience has been that any small change to the architecture and it will just stop working. I've heard reinforcement learning is even more difficult. I can't speak to recurrent networks. On the other hand, it seems that SGD is so robust that even gross mathematical errors may not make a model fail outright. They may only slightly punish performance. Because models often take many days to train, it is a very slow edit-run cycle. The culture of testing has not sufficiently caught on yet. We need better ways of asserting during training, that various parts of networks maintain certain means and variances, don't oscillate too much, or stay within ranges. ML bugs make the heisenbugs of my systems past seem delightfully easy. Parallelization is of limited benefit. Large hyperparameter searches become easier with more computers, but ideally we would have models that work without the need for such careful tuning. (In fact, I suspect that researchers with limited ability to do hyperparameter searches will be forced to be smarter about their model design, and that results in more robust models.) Asynchronous SGD, unfortunately, doesn't really help for many models. Synchronous SGD works, but it can't increase steps/sec faster than a single machine can process one example—more accurate gradients just don't help much usually. This is why the DCASGD research direction is important. From a software maintenance perspective there is little consensus on how to organize ML projects. It feels like websites before Rails came out: a bunch of random PHP scripts with an unholy mixture of business logic and markup sprinkled throughout. In TensorFlow projects it's an unorganized glob of data pipelining, mathematics, and hyperparameter/configuration management. I believe a beautiful abstraction/organization has yet to be discovered. (Or rediscovered, like how MVC was rediscovered and popularized by DHH.) My own project structure has been evolving, but I would not call it beautiful. Frameworks will continue to evolve rapidly. I started with Caffe and appreciate how much TensorFlow enabled. Now projects like PyTorch and Chainer have delighted users with their dynamic computation graphs. The long edit-run cycle is a major roadblock to developing better models—I suspect frameworks that prioritize fast startup and evaluation will ultimately succeed. Despite useful tools like TensorBoard and iPython, it remains difficult inspect what the models are doing during training. The signal-to-noise ratio in papers is low. There's too much volume to keep up with. People are often not upfront about the failures of their models because conferences prefer accuracy over transparency. I would like to see a conference that takes blog post submissions and requires open source implementations. Distill is a laudable effort in this direction. It's an exciting time for ML. There is ample work to be done at all levels: from the theory end to the framework end, much can be improved. It's almost as exciting as the creation of the internet. Grab a shovel! I is not going to say http://zdravaisrecnabeba.rs/forum/?view=thread&id=6#postid-6 a thing about this.